I'll admit I have a bit of an addictive personality. It becomes more and more evident as the years go by and it becomes easier and easier to obtain my drug of choice. It started before I was in kindergarten when my mother would take me to the library. (Did you think it was going to be something bad?) There, I could peruse stacks of books and pick out whatever appealed to me. I was a member of the Dr. Seuss Club where 2 books would arrive in a cardboard box once a month. These were books just for me. Add to that, my mom was a voracious reader. Magazines and books could be found all over the house. My parents read to us nightly before we went to bed and when we were too old to sit and listen to them read to us, we read our own books under the covers with a flashlight. Somehow, my dad was always able to figure out that we were still up reading when we were supposed to be asleep. My first job was in a bookstore. I was a shy 16 year-old girl who found solace in the books surrounding me. Mabel, the owner of the store, was my kindred spirit. Once I started making money, I could buy the books I wanted. I certainly had easy access to them. Books were always a safe bet when buying me a gift. (By the way, it still is). Fast forward to the present. The Internet and Amazon.com have made it much easier for me to feed my addiction soul. Amazon's one click shopping is a little dangerous. A few weeks ago, I received one of those plain brown cardboard boxes with the signature smile on it every day. I had gone quite awhile without buying anything, and then fell off the wagon. I find immense pleasure in going to our local children's bookstore, Cover to Cover to find new treasures for my room. 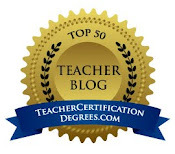 The blogs and websites I read fuel my sickness. My wish list is ever growing and it's gotten to the point that there are so many I want to read, that I've gone back to using the library. I'm still trying to find a happy balance. Here are my two latest acquisitions. The box and envelope were a surprise to me. I didn't remember ordering anything. I think that's another sign that I may be out of control. In my defense, I pre-ordered The Center of Everything by Linda Urban a long time ago. 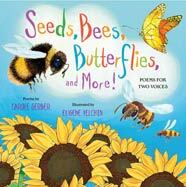 You can read Kate Messner's recommendation at Nerdy Book Club. I'm looking forward to having some down time to read. My pile is growing larger and larger. Good thing spring break is coming soon. 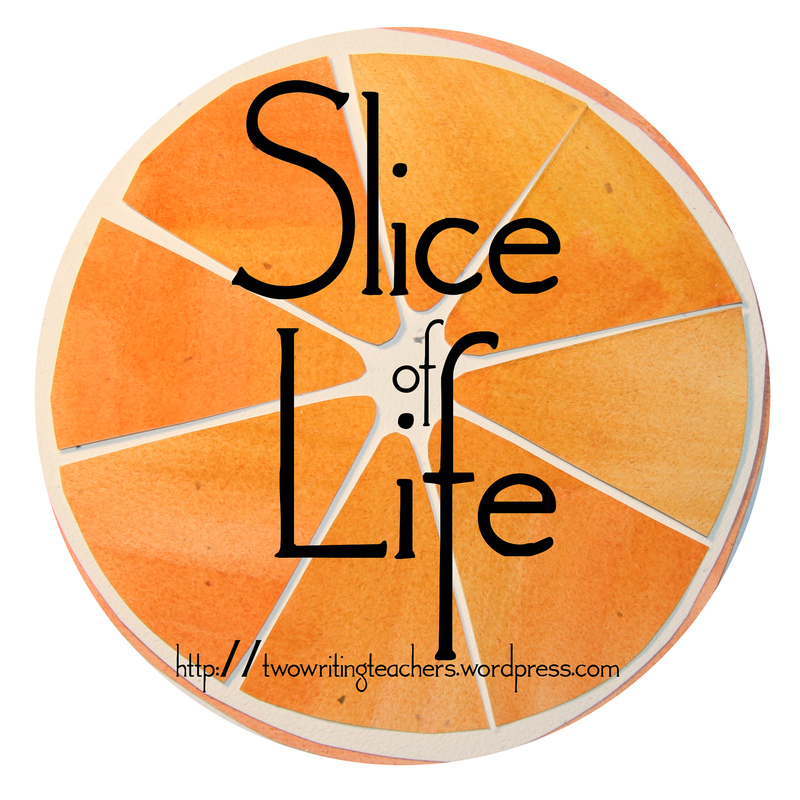 Thanks to Ruth and Stacey at Two Writing Teachers for hosting Slice of Life Challenge. Amazon is the best (and worst) invention ever invented!!! 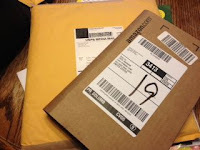 If I could have one of those little packages arrive every day I would be the happiest girl in the world! I like how you used the cross-out function to show what you were really thinking - very cute and clever. Well done! I'll be right there next to you when the 12 step program for book-holics is started. In fact, I'll hand out the name tags and put a pot of coffee on in the church basement. I wonder if anyone's marriage has crumbled due to this dependence? I am right there with you with that one click problem. I seem to realize this every time I go to the recycling center and all my boxes are marked Amazon. Sheesh. You can add me to the list of people who need the 12-step program for bookaholics! :) I also have an addictive personality as you put it. Books are quite often my drug of choice, too. I feel as if I could've written this post! Amazon's one click is dangerous. But those smiley boxes sure make me smile! I visit Cover to Cover when I'm in town for the Dublin Literacy Conference. It's a good thing I don't live close by!! In the scheme of addictions, the Amazon one-click is pretty respectable. I, too, am trying to feed my frenzy at the library but there is something about the smell of new books from Amazon or a local book store that gets me! Great post! Right there with ya! And, my first job was at a library! I must add that during our cross-country road trip a couple years ago, Julie was always searching for independent book stores along the way. I believe there were even a few that we had to visit that were a bit out of the way. 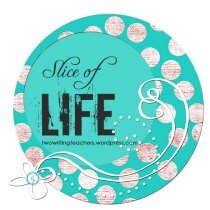 Check out her Facebook timeline cover photo. We'd all like to help, but I think everyone who stops by has the same addiction. I'm quite certain Twitter and blogging does not help at all. I have no advice --- only sympathy. Hey, we're helping the publishing industry, aren't we? I have two things to say: I just moved & am one block from a wonderful library so I am ordering/buying less, so far. And, I ordered two books from Amazon today-one for my iPad & one that I think I need to share with teachers. Hm-m-m! I'm glad spring break is coming! I so share your addiction! Nothing makes me happier than coming home to that little brown box with the smile on it. Your confession is easy to understand. I used to take a train home, and on my way to the train station I passed a bookstore. Even if I had only five minutes, I managed to buy a book. Now I drive to school and going to a bookstore is a festive occasion. To avoid buying from Amazon, I don't have a permanent credit card. Once a year I make a temporary virtual credit card with a set amount of money and carefully think what to buy. I don't have to wait for a box, the e-books upload so quickly. This instant gratification may make things worse.